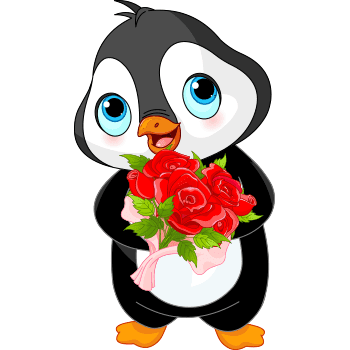 Add a sweet floral touch to your next status update with this adorable penguin. Its sweet expression is sure to brighten someone's day. Each time you connect on Facebook, you can select an image from our vast database to enhance the look of your comment or message, and our emoticons are free to share.